You know that very first tickle in the back of your throat that tells you a cold is coming on? What if you could figure it out even sooner – as soon as the first bacteria took hold? 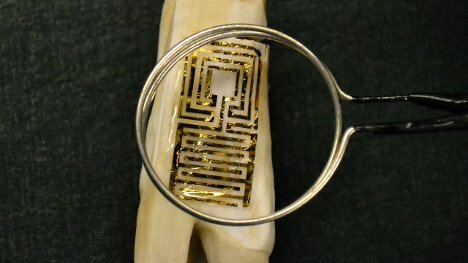 A team at Princeton is developing tooth “tattoos” that could detect illness from the bacteria in your breath, starting before you even realize you’re getting sick. The tattoos are wireless and powered by resonant coils so there’s no need for charging or batteries. They work with the wonder material graphene, which can grab each individual bacteria and make the sensors amazingly sensitive. 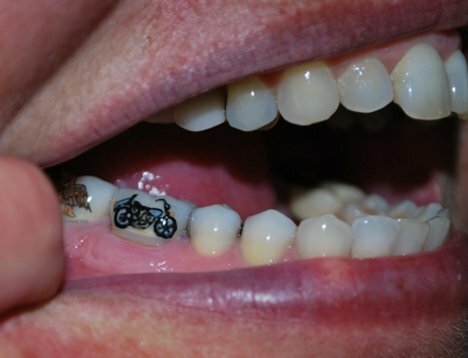 Decorative tooth tattoos are already a fashion fad in many parts of the world, so maybe these medical sensors could be incorporated into the more decorative dental decals to create a product that’s functional and fun. But for those of us who choose to keep our tooth tattoos private, the graphene sensors can also be applied painlessly to out-of-sight places in the mouth. See more in Cybernetics or under Technology. March, 2012.